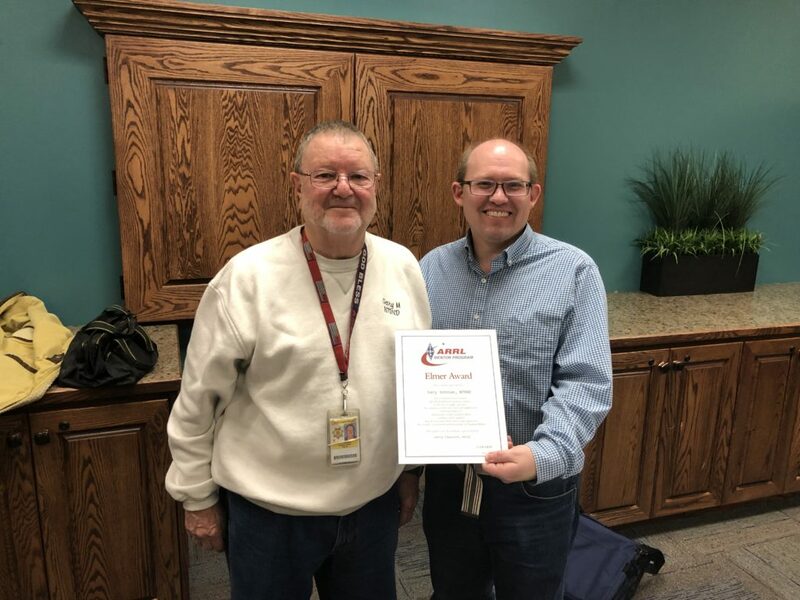 Today, 13 April 2019, at our club meeting it was my pleasure to recognize Gary Johnson – N7DND, with the ARRL Elmer Award. This certificate is presented by someone who has received help in Amateur Radio from a Ham Radio Elmer. I have known Gary for over 7 years. In that time he has always been available to answer questions, help with a build and even program radios on the fly. As I have worked with Gary on our Club Website and Membership Databases I have found that Gary is always taking calls and emails from other Ham’s throughout our community. At the beginning of each club meeting, Gary is at the registration table ready to help members update their membership. Often members will find that there is a line at the time. It isn’t because everyone is paying their membership dues, it’s because they have questions for Gary. In my own adventures through Ham Radio, Gary has been my wing man. A few years ago I found that it was time to renew my ticket. Instead of being content as a Tech, Gary encouraged me to upgrade. Over the next four months I was able to upgrade from Technician, to General Class and then to Extra. Thank you Gary for all your hard work! I very much appreciate your work in Radio but also your friendship.